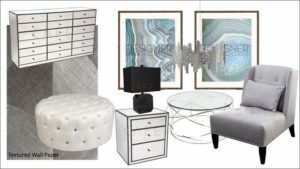 So you are planning on redecorating a room, or your whole house, but have so many ideas flying around in your head that you are overwhelmed and confused. It’s hard to keep track of everything, there are so many things to consider – flooring, furniture, lighting, colours, fabric and not to mention the finishing touches of accessories. Well, yes they do. 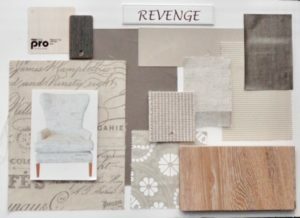 A Mood Board is a tool which allows you to collect all your thoughts and ideas together and is fun to do. Putting all your inspiration and favourite pieces together in one place helps you to focus and form a coherent design concept. This can allow you to see what might or might not look good together. The excitement of renovating can be distracting and can lead to impulse buying of everything you like, only to find out that they don’t work when put together. Inspiration and where to begin? Finding inspiration is easier than you think, it’s everywhere! It can be found in places such as books, magazines, showrooms and samples, in nature, your local coffee shop and of course, online. Find an item that you would like to build the rest of your room around, it could be a favourite chair, a rug, some wallpaper or fabric, or a piece of artwork. Take a photo and add it to your Mood Board to use as your starting point. Other items remaining in the room can also be photographed and added to the Mood Board to ensure they work in with your design. 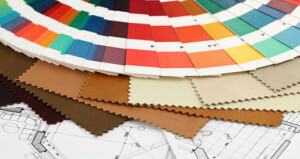 Start choosing images, colour samples and wallpapers that you are drawn to. Pictures of interiors that you like will help you choose a design style and will guide you in your colour choices. If your starting point for the room was a favourite chair or artwork, look for colours in these that you can draw out into the room. This will ensure you create a unified space. Once the main colours are chosen you can then begin to work on fabric samples, window dressings and furniture, along with lighting options and accessories. Try not to overthink it and just let your ideas come together. Chop and change things you do or don’t like, that’s all part of the process. You get to experiment with colours, styles and textures before you commit to them. If you like, you can arrange your mood board as you would your room. This can sometimes make it easier to visualise the finished design. But with all that, just have fun – you’ll be amazed at how successful ideas can come about!